Brighten your bathroom by sewing your own toilet lid cover. This accessory provides a colorful covering for the toilet. The process requires a small amount of fabric, a few sewing supplies and basic sewing skills to complete. 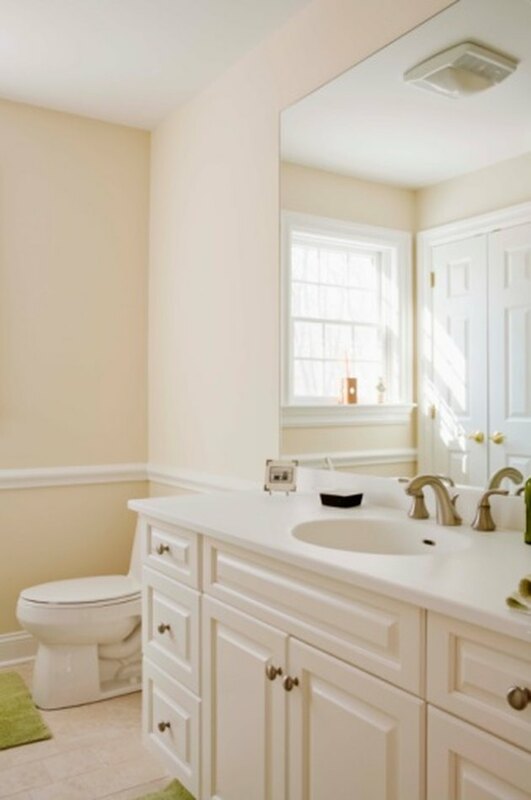 Select a machine-washable fabric to make it easy to clean the toilet lid cover on a regular basis. Cotton or cotton/polyester blends that are pre-quilted or cotton denim fabrics work well for making washable bathroom accessories. Sew a toilet lid cover using basic sewing skills. Wash the fabric in warm water with mild detergent. Dry in a clothes dryer to shrink out any sizing put in the fabric during manufacturing. Place a large piece of paper under the toilet lid. Trace around the outside edge with a pencil to create a pattern. Add 2 inches around the pattern for a hem and elastic casing. Pin the pattern to the fabric and cut out the fabric. Turn the raw edge under 1/4 inch and pin or iron to hold in place. Turn the hem under another 3/4 inch and pin or iron to hold in place. Sew around the toilet lid cover close to the edge with the 1/4-inch fold, using a straight stitch. This will leave a nearly 3/4-inch tunnel, known as a casing, to thread the elastic through. Measure the perimeter of the toilet cover. Cut a piece of 1/4-inch elastic that is 2 inches shorter than the perimeter. Pin a safety pin to one end of the elastic and push it through the casing, making sure the other end doesn't get drawn into the casing; pin it to the fabric with a straight pin to keep it anchored. Sew the two ends of the elastic together after threading the elastic through the casing. Sew the casing hole closed to finish the toilet lid cover.